I remember visiting as a child and now I have the pleasure of watching my children experience the ocean. We truly enjoy our Myrtle Beach trips, and encourage others to make the trip if they can. Below you'll find details on some of the many fun things to do with kids in Myrtle Beach, South Carolina. 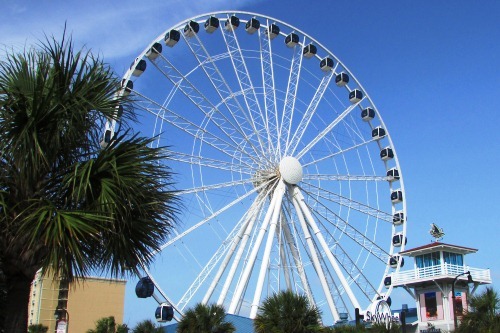 Myrtle Beach SkyWheel – Take a ride on the 200ft SkyWheel and see amazing views up and down the coast of Myrtle Beach. Visit during the evening to see the spectacular nightly light show. 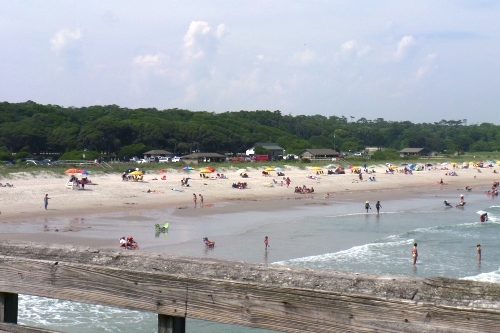 Myrtle Beach State Park – Spend your day relaxing at Myrtle Beach State Park. With a mile of beach, a beautiful maritime forest, hiking trails, nature center, camping and more there is something that everyone in the family will enjoy. 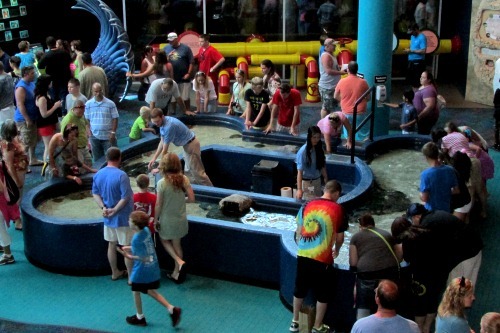 Ripley’s Ocean Boulevard Thrills – Conveniently located along Ocean Boulevard near the Myrtle Beach Boardwalk, visitors can enjoy Ripley's Believe It or Not Odditorium, Mirror Maze, the 5D Moving Theater and Haunted Adventure. What about you? Have you visited Myrtle Beach? If so, what are your favorite things to do at the beach?